These commands add eight new creatures to the game! ₪ Vampires spawn 3% of the time mostly in caves. ₪ They will randomly turn into bats, and turn from bats. ₪ Vampires can only be killed while a bat OR with a sharpness V diamond sword with strength II OR with a Smite V diamond sword. ₪ Vampires will drop a vampire fang, if you touch it, you contract Vampirism. ₪ Vampirism gives you speed, resistance, jump boost, and hunger.₪ It can be cured by placing a bone in your inventory named ''Undead Last Rite"
₪ Mages spawn 3% of the time mostly in caves. ₪ They have five attacks. ₪ Hit: Get hit by a flaming wand. ₪ Flames: Spawns fire everywhere in a neat spiral. ₪ Lightning: Spawns lightning randomly around it. ₪ Defense: Get too close and the mage will splash you with harmful potions! ₪ Explosion: Summons creepers with a long fuse and small explosion radius. ₪ They drop a Mage's Wand which can be used to kill a wisp. ₪ Ogres are extremely rare, and spawn on the surface of the world - especially near packs of delicious rabbits. ₪ Ogres are extremely strong and can jump high or break blocks to get to you. ₪ Only spawn in the nether. They are very rare. ₪ Demons will attack with melee, TNT, arrows, and zombie pigmen. ₪ Demons can anger zombie pigmen. ₪ Spawn commonly in the jungle (mostly night), uncommonly in the forest, extremely rarely anywhere else. ₪ They are mostly aggressive. 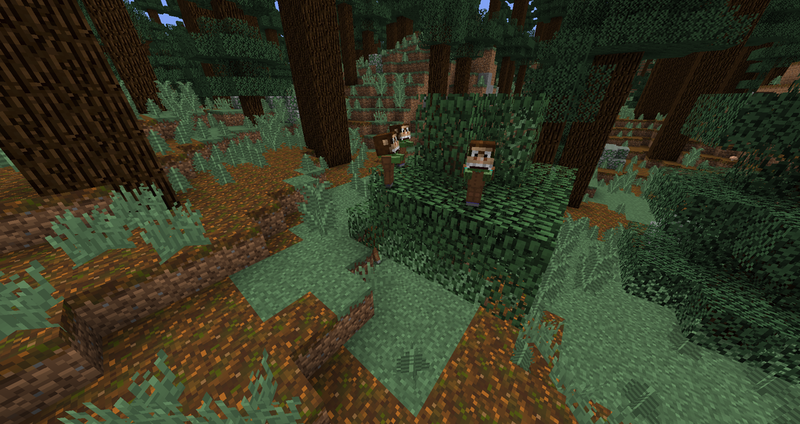 ₪ They will climb trees to reach the player or to get away from the player. ₪ They can also hide in the trees. ₪ They have a 50% chance to drop leather. ₪ Spawns uncommonly underground, uncommonly in the mega taiga, and extremely rarely anywhere else. ₪ They fly around passively and will not follow the player. ₪ They attack the player with lightning strikes, and poison if you get too close. ₪ Summon by making a 3x3 structure on the ground. The corner must be sea lanterns, the sides must be prismarine blocks, the middle can be anything, and a diamond block on top of the center. This is shown in the first image on the right. ₪ Fairies will follow players around. ₪ They will pick up nearby mobs and slam them into the ground. ₪ If the player touches the fairy, they will regenerate health. ₪ Throw the spell dust (pressing Q) to the fairy to activate her special abilities. Nearby creatures will disintegrate and the player will get jump boost and speed. ₪ Note that you can only have one fairy in your world at a time otherwise dark forces will arise. ₪ Found in the desert or anywhere where dead bushes spawn. ₪ Will kill an unarmed player in two hits. ₪ Upon death, Skitters have a chance to drop their bone. This bone gives speed, jump boost, poison immunity, and spawns tonnes of spiders which damage nearby mobs. Upon letting go of this bone, you will get poison damage dealing 3.5 hearts of damage. ₪ Found in snowy areas or anywhere where snow spawns. ₪ Moves slowly, but is invincible, if you are not properly equipped, run away. ₪ Can only be killed by detonating TNT on it. ₪ Gives extreme slowness and will do 10 damage if it hits you. ₪ Jump whilst holding the bone to send close by entities flying into the air. ₪ NOTE: This requires TWO commands, paste the second command UNDER the armor stand with the skull on its head. 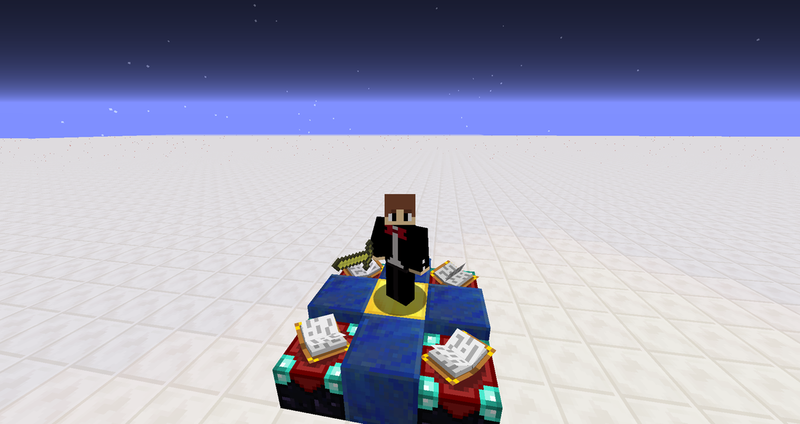 DO NOT destroy this command block! Do not activate the second command block. 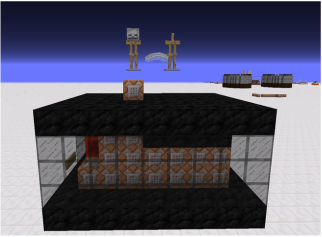 ₪ Will summon wither skeletons when ''Rage'' in activated. Rage gets activated when you see the particles around it. ₪ The bone deflects all nearby zombies. * The structure made to summon a fairy. * The structure made to create spell dust, note that I am holding a gold sword. Blight second command. 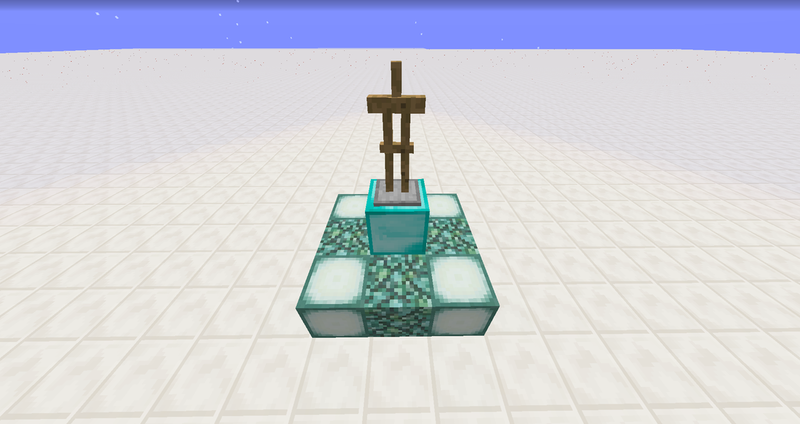 Place under the armor stand with the skull as shown in the image. Do not activate this command. Creepdeath second command. Place under the armor stand with the skull as shown in the image. Do not activate this command.